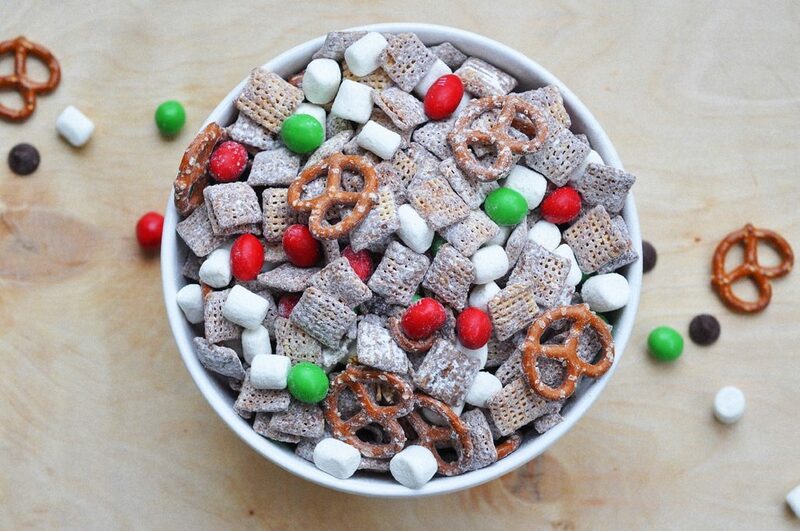 My favorite thing to make every year for the holidays is Christmas Muddy Buddies. It’s quick and easy to make for anyone that is gluten free. 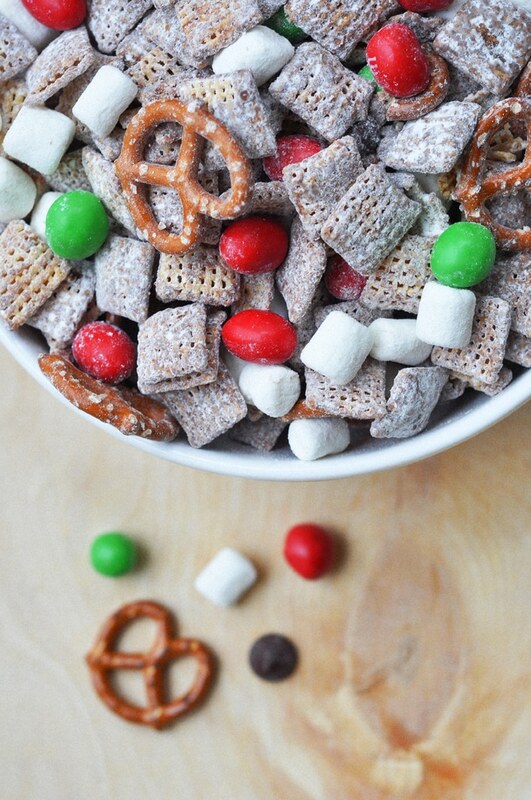 My favorite snack to make every year for the holidays is Christmas Muddy Buddies. It’s quick and easy to make for anyone and it’s gluten free. I love how colorful it looks but most of all you can’t stop eating it. 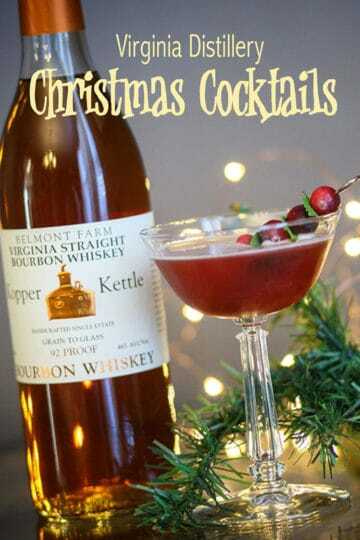 Every time I make this tasty treat and bring it to a Christmas party or bag it as gifts, the stuff is gone! In 1-quart microwavable bowl, microwave chocolate chips, peanut butter and butter uncovered on High 1 minute and stir. Take it out and mix, if not all is melted return for 30 seconds longer. Add powdered sugar into the bag and seal bag. 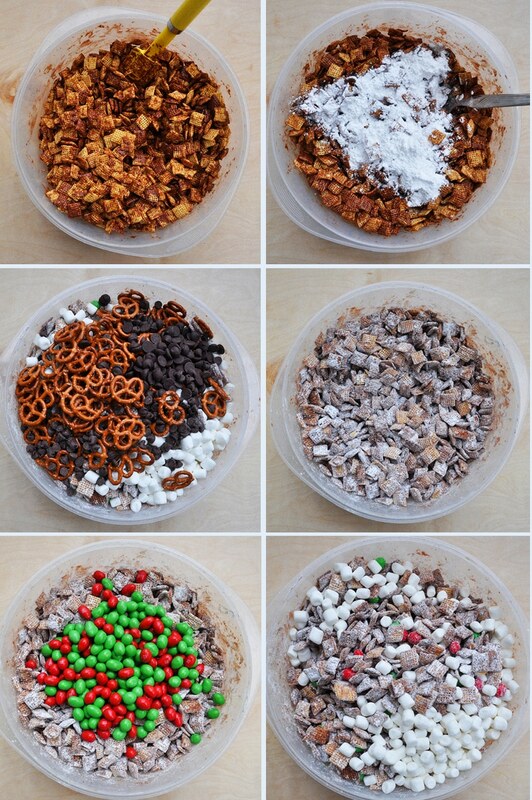 Add marshmallows, M&M’s and pretzels and mix all together. 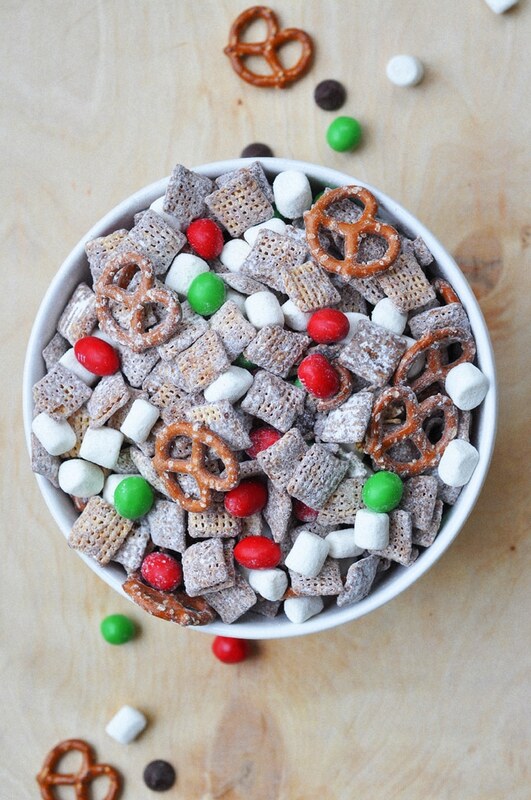 You can add different Christmas candy to mix in to the bowl. I sometimes add white and dark chocolate chip. Add some sprinkles for some spark in the mix. I usually bag it up into small bags as gifts. 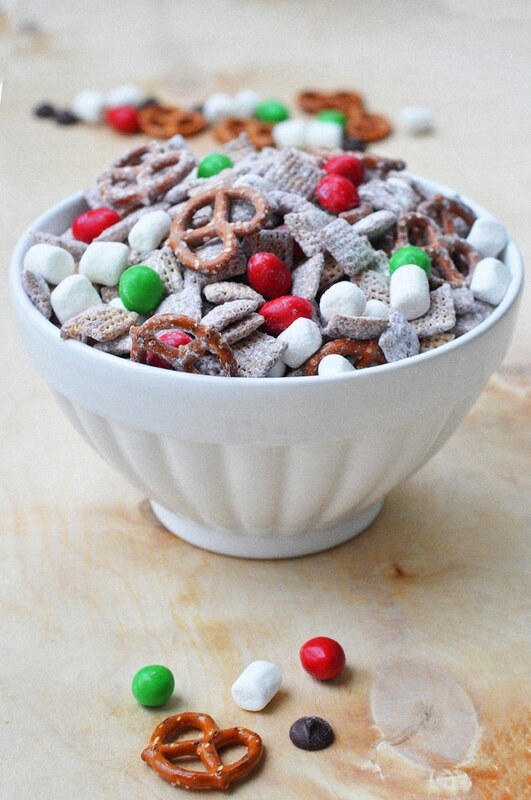 Use different bowls and spread them around the table to make the table more festive. Pack clear plastic ornament and give as favors to your guess at Christmas. Because this is a little messy to mix when I make a bunch, I get the biggest zip lock bags to shake the sugar around. I always try to make Gluten Free Christmas Muddy Buddies for the holidays because I know it will be gone by the end of the night. 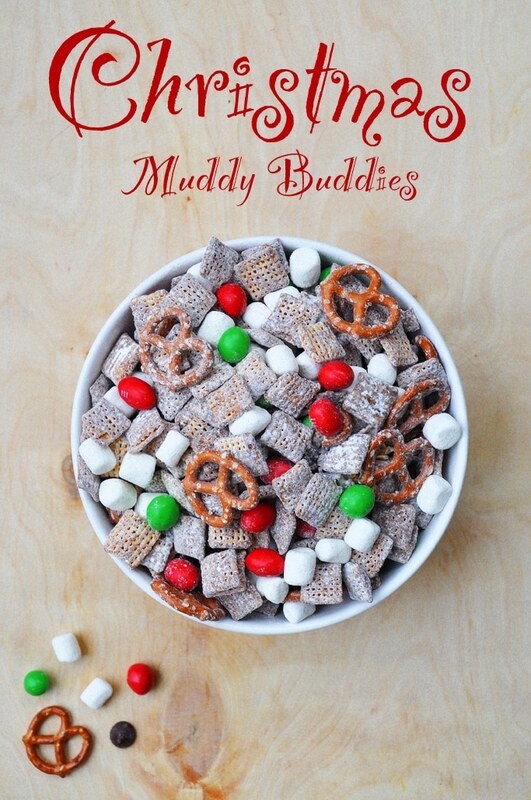 My favorite thing to make every year for the holidays is Christmas Muddy Buddies. 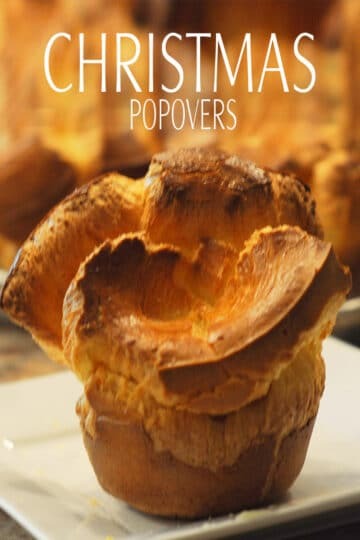 It's quick and easy to make for anyone that is gluten free. 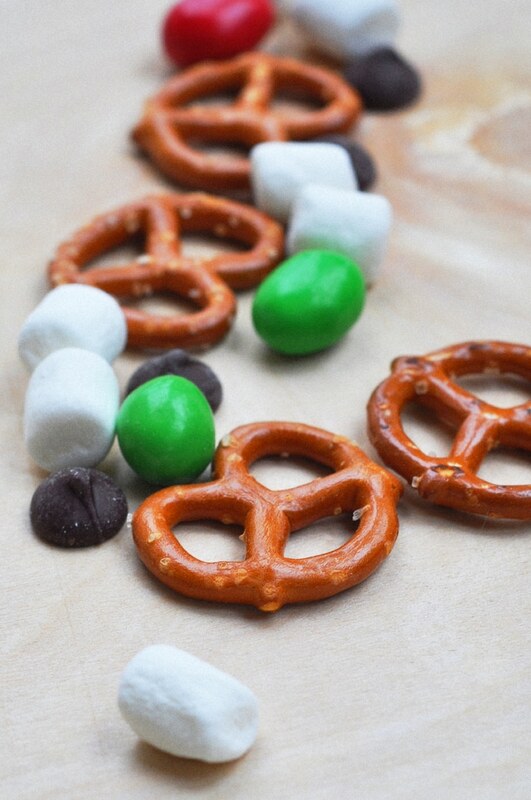 Add marshmallows, M&M's and pretzels and mix all together. Store in airtight container and ready to eat for Christmas!